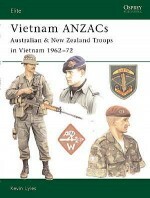 This book reveals the evolving US, Viet Cong and NVA tactics at battalion level and below throughout the Vietnam War. Beginning with a description of the terrain, climate and the unique nature of operations in this theatre of war, the author, a Vietnam veteran himself, goes on to explain how unit organisation was broken down by combatant forces and the impact this had on the kind of tactics they employed. In particular, the author highlights how units were organised in reality on the battlefield as opposed to their theoretical tables of organisation. US tactics included the standard US tactical doctrine as prescribed by several field manuals and in which leaders and troops were rigourously trained. But it also reveals how many American units developed innovative small unit tactics specifically tailored to the terrain and enemy practices. In contrast, this book also reveals the tactics employed by Viet Cong and NVA units including their own Offensive Operations, Reconnaissance, Movement Formations and Security, and Ambushes. Gordon L. Rottman entered the US Army in 1967, volunteered for Special Forces and completed training as a weapons specialist. He served in the 5th Special Forces Group in Vietnam in 1969-70 and subsequently in airborne infantry, long-range patrol and intelligence assignments until retiring after 26 years. He was a Special Operations Forces scenario writer at the Joint Readiness Training Center for 12 years and is now a freelance writer, living in Texas. He previously wrote the chapter ‘Adapting Doctrine - Tactics in a Different War' in the critically acclaimed Rolling Thunder in a Gentle Land: The Vietnam War Revisited. Peter Dennis was born in 1950. Inspired by contemporary magazines such as Look and Learn he studied Illustration at Liverpool Art College. Peter has since contributed to hundreds of books, predominantly on historical subjects, including many Osprey titles. A keen wargamer and modelmaker, he is based in Nottinghamshire, UK.